Welcome to D.R. Burd Roofing. 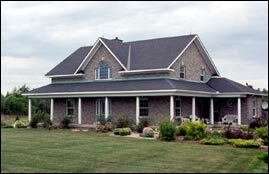 Established since 1984, we specialize in Commercial Residential and Industrial Roofing. D.R. Burd Roofing is a fully insured company and is covered by Worker's Compensation. We offer Quality workmanship guaranteed in writing. Our company policy is Excellent Service at Competitive rates.